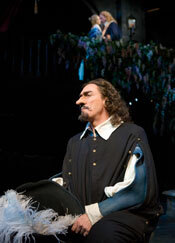 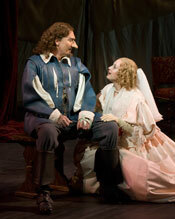 Patrick Page as “Cyrano de Bergerac” and Dana Green as “Roxane” in The Old Globe’s Summer Shakespeare Festival production of Cyrano de Bergerac, by Edmond Rostand, directed by Darko Tresnjak, playing in the Lowell Davies Festival Theatre June 13 – September 27 in nightly rotation with Twelfth Night and Coriolanus; photo by Craig Schwartz. 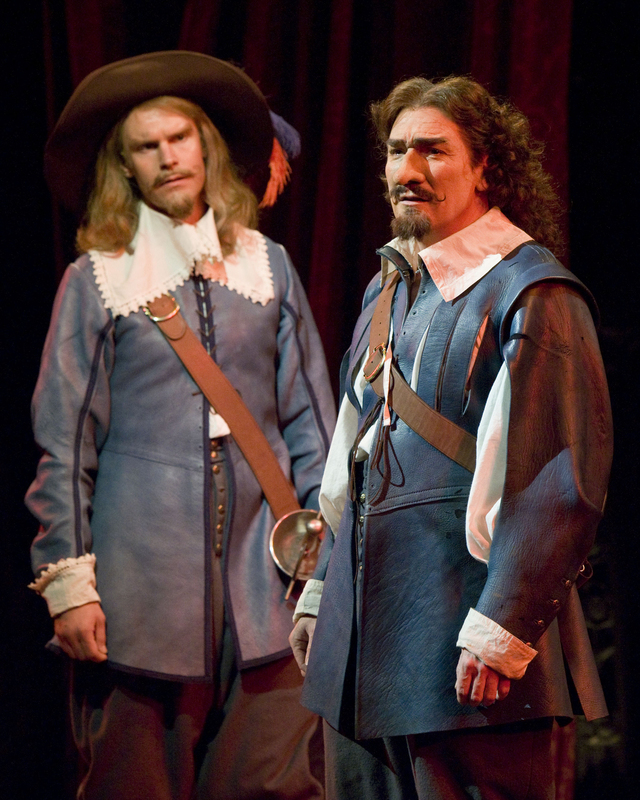 Grant Goodman as “La Bret” and Patrick Page as “Cyrano de Bergerac” in The Old Globe’s Summer Shakespeare Festival production of Cyrano de Bergerac, by Edmond Rostand, directed by Darko Tresnjak, playing in the Lowell Davies Festival Theatre June 13 – September 27 in nightly rotation with Twelfth Night and Coriolanus; photo by Craig Schwartz. 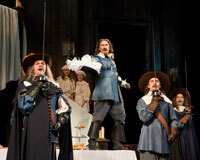 (L-R) Steven Marzolf as “Carbon de Castel-Jaloux,” Patrick Page as “Cyrano de Bergerac,” Jordan McArthur and Tony Von Halle as “Cadets” with Barbra Wengerd and Brooke Novak (behind) as “Cooks” in The Old Globe’s Summer Shakespeare Festival production of Cyrano de Bergerac, by Edmond Rostand, directed by Darko Tresnjak, playing in the Lowell Davies Festival Theatre June 13 – September 27 in nightly rotation with Twelfth Night and Coriolanus; photo by Craig Schwartz. 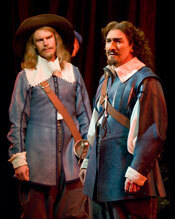 Brendan Griffin as “Christian” and Patrick Page as “Cyrano de Bergerac” in The Old Globe’s Summer Shakespeare Festival production of Cyrano de Bergerac, by Edmond Rostand, directed by Darko Tresnjak, playing in the Lowell Davies Festival Theatre June 13 – September 27 in nightly rotation with Twelfth Night and Coriolanus; photo by Craig Schwartz. 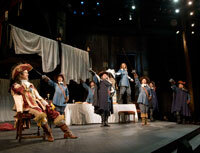 Cyrano 5: The Cast of Edmond Rostand’s Cyrano de Bergerac, directed by Darko Tresnjak, playing in the Lowell Davies Festival Theatre June 13 – September 27 in nightly rotation with Twelfth Night and Coriolanus; photo by Craig Schwartz. 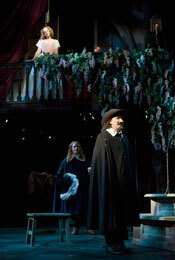 Brendan Griffin as “Christian” and Dana Green as “Roxane” in The Old Globe’s Summer Shakespeare Festival production of Cyrano de Bergerac, by Edmond Rostand, directed by Darko Tresnjak, playing in the Lowell Davies Festival Theatre June 13 – September 27 in nightly rotation with Twelfth Night and Coriolanus; photo by Craig Schwartz. 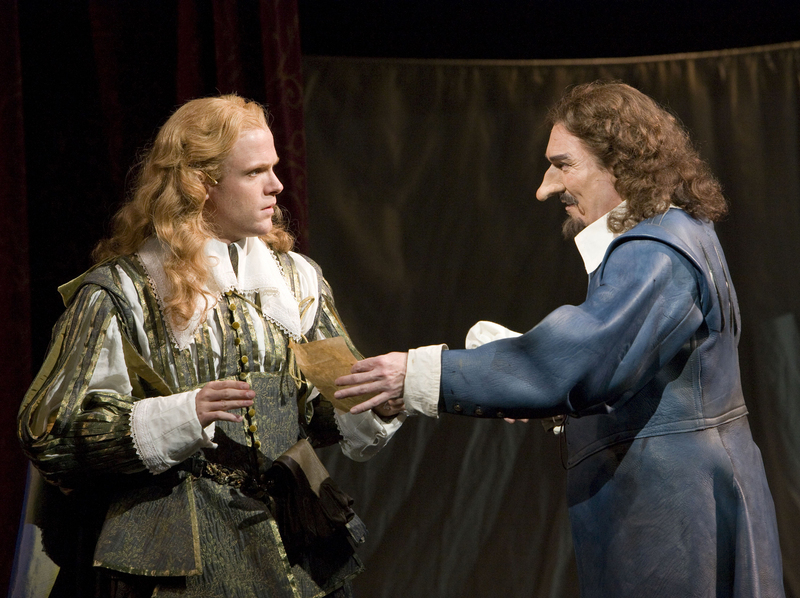 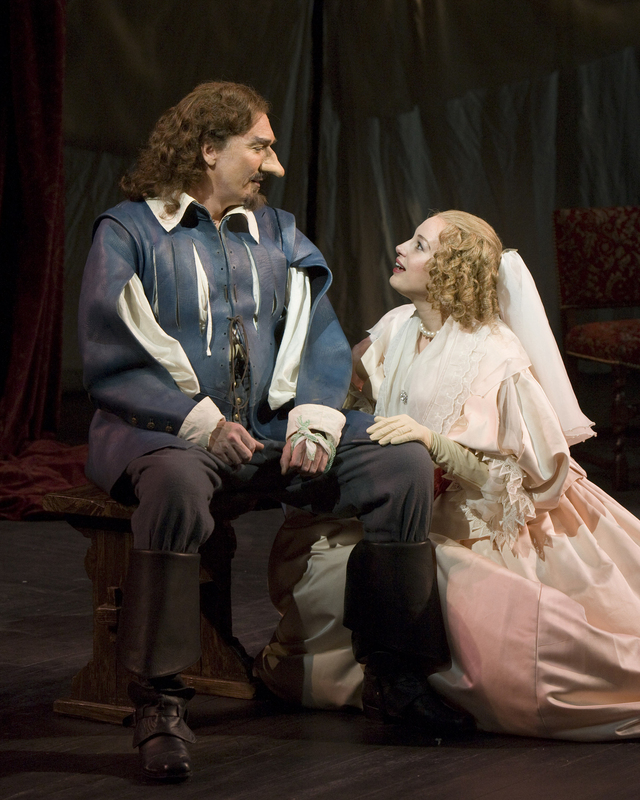 Dana Green (above) as “Roxane,” with Brendan Griffin as “Christian” and Patrick Page as “Cyrano de Bergerac” (below) in The Old Globe’s Summer Shakespeare Festival production of Cyrano de Bergerac, by Edmond Rostand, directed by Darko Tresnjak, playing in the Lowell Davies Festival Theatre June 13 – September 27 in nightly rotation with Twelfth Night and Coriolanus; photo by Craig Schwartz. Brendan Griffin as “Christian” and Dana Green as “Roxane” (above) with Patrick Page as “Cyrano de Bergerac” (below) in The Old Globe’s Summer Shakespeare Festival production of Cyrano de Bergerac, by Edmond Rostand, directed by Darko Tresnjak, playing in the Lowell Davies Festival Theatre June 13 – September 27 in nightly rotation with Twelfth Night and Coriolanus; photo by Craig Schwartz.